Upgrading your glad-rags in Destiny 2: Forsaken is a serious business. In fact, you’ll need a wealth of strange material from across the solar system to do so. Want Microphasic Datalattices to improve your magic space pants? We’ve got you covered. These twinkling streams of data can be found on Nessus. There are a handful scattered throughout the area that you can stumble upon while wandering. You can see our guide to their location below, but bear in mind that they move slightly each time they spawn. However, because they only yield one Microphasic Datalattice apiece (not to mention the fact that they move slightly each time they spawn), it’s arguably more effort than it’s worth to find and farm them. Instead, the most reliable technique would be making a beeline for Failsafe and grabbing her daily bounties. As of Forsaken’s launch, these offer 10 Microphasic Datalattices a pop for what is straightforward busywork (e.g, kill 30 Fallen or complete 2 public events). The only catch is that you’ve got to finish these bounties within 24 hours. As such, the most efficient technique for farming Datalattices would be picking up each bounty and heading for whichever public event is about to start. There are a couple of reasons for this; firstly, every event gives you two of the coveted material upon completion. Secondly, you can often finish your bounties in the process. Make sure you get any kill-based patrols you come across on the way, too (denoted by a white triangular symbol when you bring out your Ghost). These net you two Microphasic Datalattices each time and, as with bounties, they can often be completed while mopping up public events. New to Destiny 2? Good news – as well as the above, hunting Nessus Region Chests gets you six Microphasic Datalattices a go. These can be found near the cross symbol when you bring up your Director. 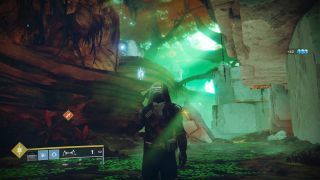 Equally, make sure you explore any unfinished Nessus Lost Sectors. The entrances are concealed near a semi-circle icon found in your map or daubed onto the environment close by. Fighting off the tough AI that guard the Lost Sector’s treasure will give you access to another chest with four Datalattices inside. If you don’t fancy grinding for Microphasic Datalattices, the Spider sells them in the Tangled Shore. Be warned, though – you’ll shell out one Legendary Shard for every five Datalattices, so it’s a pricey tactic. Regardless of how you do it, the above will provide you with a glut of the weird Vex material - and all in record time. Turn to page two for all the Destiny 2 Microphasic Datalattices Nessus locations.